The Finishing Touch has already been in full manufacturing mode this year, supplying French Provincial style decorative mouldings for a 50 square home in Hudson Court, Ashburton. Currently the manufacture process for the component mouldings is being completed and installation will soon commence. Rigorous standards are applied during the manufacturing process and with job lots being project driven, high levels of efficiency are the norm. 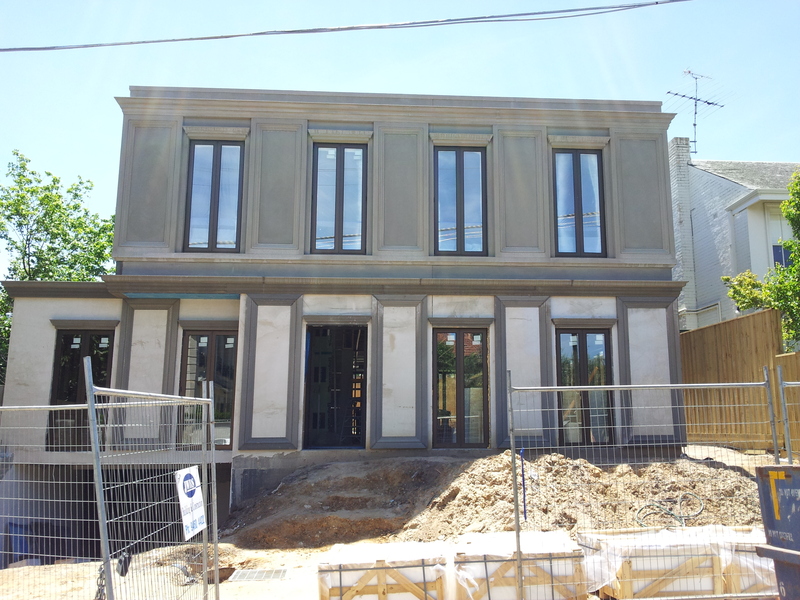 A post modern luxury home in Devorgilla Avenue, Toorak is being decorated with extensive decorative architectural mouldings and the Finishing Touch have been working on manufacturing and installing them for the past two to three months. The mouldings on the front of the building and French Provincial style parapets add style and class. Still to be completed are the fence capping and the cabana and pool area at the back. 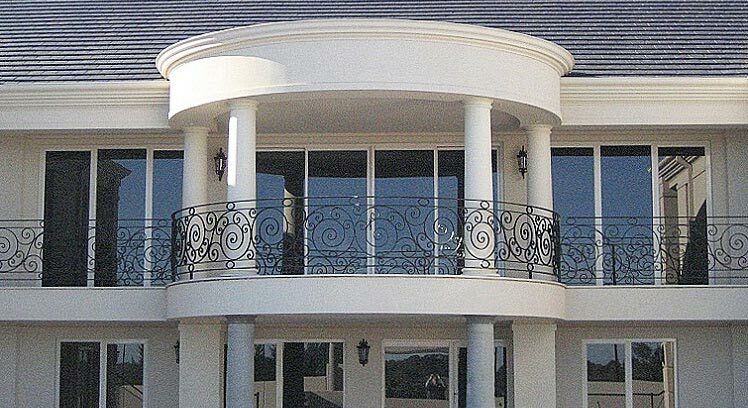 The builders of these homes chose the Finishing Touch because they know that with over 20 years’ experience in specifying, manufacturing, and installing decorative architectural mouldings, Steve De Gregorio and his staff will deliver quality mouldings that add value and character to their buildings. During the planning stages of the building process Steve will advise on the most suitable style of moulding to decorate and enhance a house, drawing on his experience and knowledge of building. 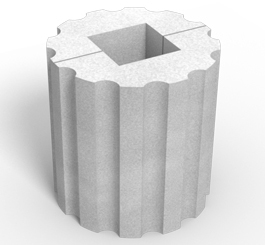 The unique Finishing Touch mouldings are manufactured from high grade EPS polystyrene. The process is completed with a triple coating of a multi-part compound and finished with a triple coating of sand, giving maximum strength and durability. The beauty of this process is that the mouldings will not crack, shrink, expand or bend. Stained walls are an eyesore on a beautiful building. But now there’s a solution, the innovative Drip-Lip mouldings developed by Advanced Moulds for the Finishing Touch. Conventional mouldings allow water to drip off the edge and run down the wall of the building, carrying dirt and pollution with it, creating unsightly stains on the walls. Now drips dripping off the edge of mouldings are a thing of the past. 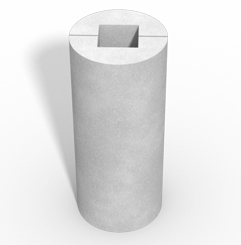 The new Drip Lip mouldings are designed so the water drips directly to the ground, not onto the wall. As a result dirt and pollution fall straight to the ground and walls do not get stained or discoloured. With the trade-marked Drip -Lip system ensuring walls don’t get stained, the look of the home is preserved and there are savings on painting costs. Walls are kept dry, clean and moisture free. The system was designed and produced by Advanced Moulds and is incorporated into the range of moulds offered by the Finishing Touch. The Finishing Touch range of architectural decorative mouldings with the Drip-Lip system not only add beauty and style to a home but help preserve the life of the paintwork and health of the building. The marriage of beauty and practicality doesn’t end there. The moulds are light weight and guaranteed not to warp, shrink or bend. As rigorous standards in the production, installation and fitting of all mouldings are applied, customers can be assured of a quality finish to their building. 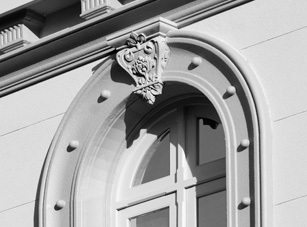 Architectural mouldings add an attractive finishing touch to a building. Traditionally render and concrete/cement based components have been used to create these stunning features, but they take time and time is money in the building industry. The Finishing Touch have created an alternative, a unique architectural mould design, which is light weight, guaranteed not to warp, shrink or bend. This new mould design is much faster to integrate into the building, a distinct advantage over traditional mouldings. Adding extra pizzazz to a building, giving it a classic finish is easy with the wide range of exciting and clever moulds to choose from. For an authentic look, be it French Provincial, Edwardian, Georgian, Mediterranean, Tuscan, Art Deco or Modern the Finishing Touch can provide mouldings to suit with genuine and faithful renditions as developed by brand creator Advanced Moulds Pty Ltd. The great selection of authentic mouldings will suit most building styles. Homeowners and builders can also develop their own specially designed custom mouldings, utilising the same proprietary methods used for other Finishing Touch products. 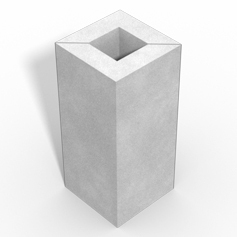 This unique, new range of mouldings are manufactured from computer cut high grade EPS polystyrene, triple coated with a multi- part compound then reinforced with a triple coating of sand for maximum strength and durability. All mouldings are factory coated in a clear primer, sealing the mouldings and leaving them fully prepared for painting. The process takes from two to four weeks from order to delivery. You can request a no obligation site visit from Steven De Gregorio of Advanced Moulds. He will show you the full variety of architectural and decorative mouldings in the Finishing Touch range and help you select the best option for your building style. Just call 03 9762 1676 to arrange your visit.